Studios ID ateliers are housed in a large bleak looking building that used to house the management of the Operational Technical Sector (OTS), here the OTS developed bugging devices among other things to observe the population and conduct espionage, within a restricted zone in East Berlin. Room no. 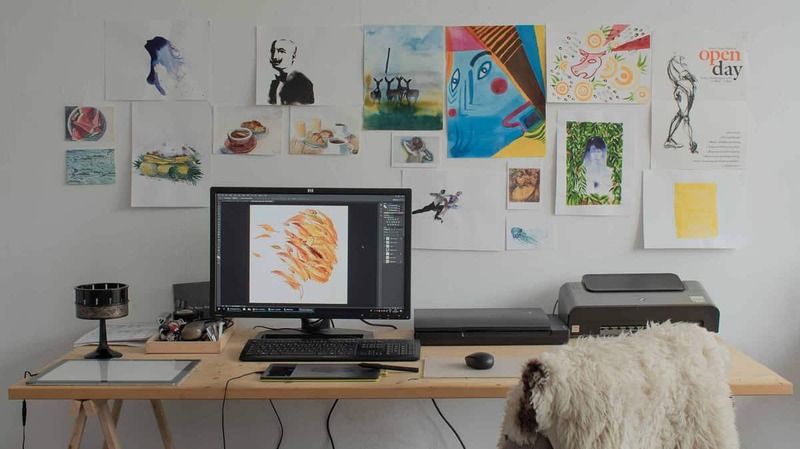 215 is the studio of Irish illustrator Ann Kiernan. 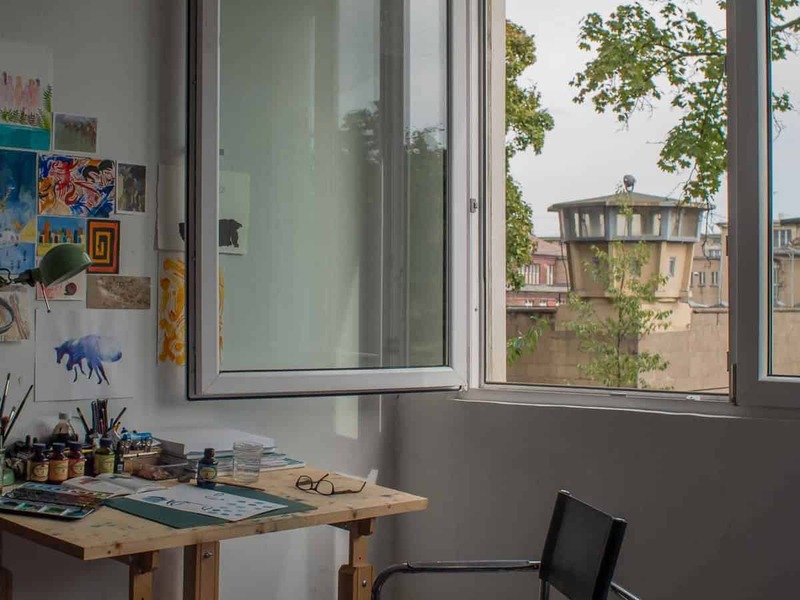 As an illustrator Ann works with clients in Berlin as well as developing connections all over the world. She illustrates in a variety of styles – depending on the medium she uses or to suit her clients’ requirements. The studio is bright and is 20SqM, for one person that means there is lots of room to experiment and play. 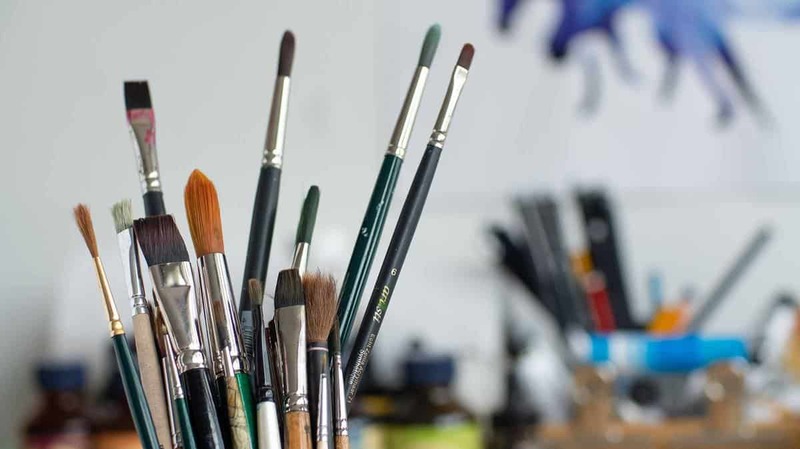 Paints, inks, pencils, paintbrushes, collections of eclectic images and reference books are scattered around the studio, all materials used as part of her contemporary illustration practice. Ann’s illustration work-space is divided between a drawing desk (wet desk) and a digital desk(dry desk), which includes purpose built computer, scanner & drawing tablet. My studio is really set up to feed my art practice. My illustration work is so varied that I can have one piece on my screen and another in progress on the drawing desk and I hop over and back between drying times. The things I surround myself with are things that make my mind whir and fly out into the deep. 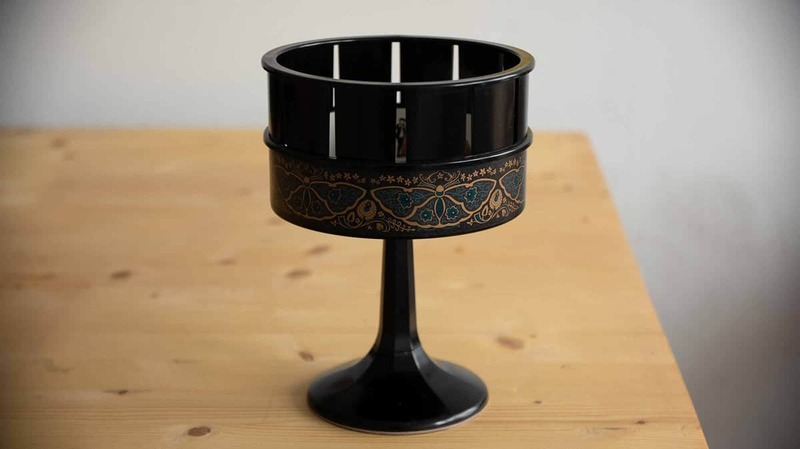 A special item I have on my desk is a Zoetrope gifted to me by my sister when I was about to move into my studio, it’s a beautiful piece and a great way to relax my eyes if I’m staring at my screen too long. A big part of my process is working out what medium will fit the brief best. I am an art medium junkie, but I especially have a growing addiction to inks and I am gathering quite the collection. I love the way a new medium will change the way you work and think, so recently I have been experimenting with gouache paints which bring a completely different style into the way I work. I find that I really I end up collaborating with the medium, my job is to work with this, to keep my eyes open for the moment when the medium chooses the direction. I have a sizable collection of brushes but I have three that I reach for more often than not, I like the feel in my grip and even though they are not at all super expensive, I find the fibers give me a reliable stroke and that’s enough for me to want to choose them. 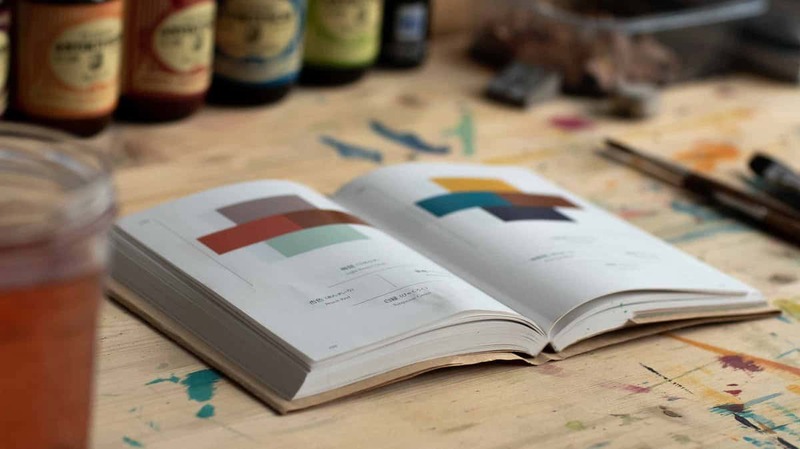 Then there is a bit of mind wrestling, for colour selection but about two years ago a small book was recommended to me and it has been a time saver so often since it arrived to my studio. 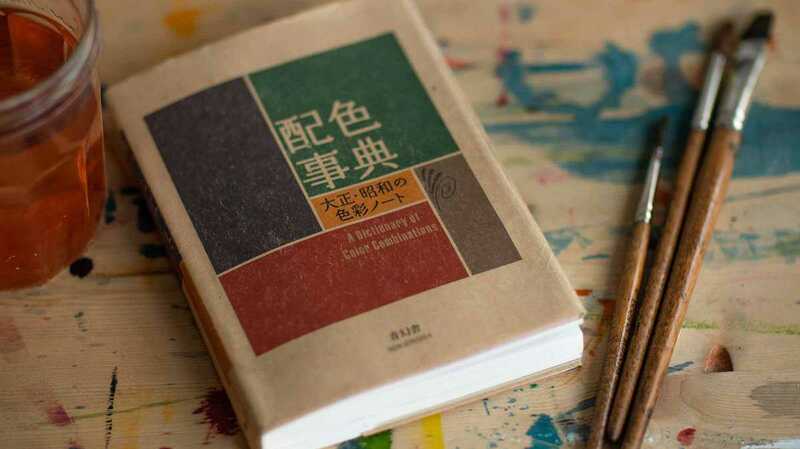 It’s a Japanese book called ‘Dictionary of Colour Combinations’ and I can safely say, I have used it almost every time I have worked with colour since. If things are going well I will get some flow and the work will almost make itself. If things aren’t going well I take a break, have a cup of tea and gaze out at the view. 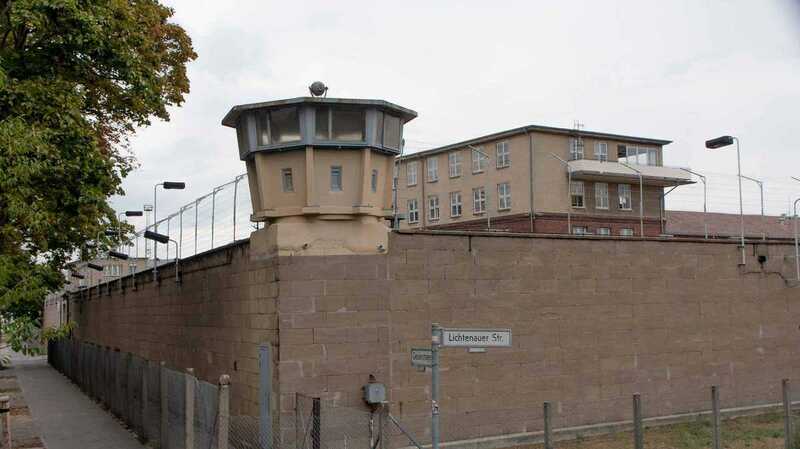 Across the street is the former Stasi Prison. I find it very inspiring to be in such a place of history and I’m quite fascinated by the secrecy and espionage connected to the place. The Studios ID house almost 250 artists from all over the world, which results pretty much a hot pot of creativity and inspiration. I believe setting my studio up here has been very beneficial to my development as an illustrator, I certainly received acknowledgment of that by been shortlisted for the AOI World Illustration Awards this year for editorial. I also decided to really immerse myself fully into my chosen field and I began a course of online study with the University of Hertfordshire and I’m embarking on my second year of an MA in Illustration in a couple of weeks. It’s been really helpful to have the push and guidance from tutors but also to have a focus on experimenting and developing as a contemporary illustrator. Learn more about Ann on her website.